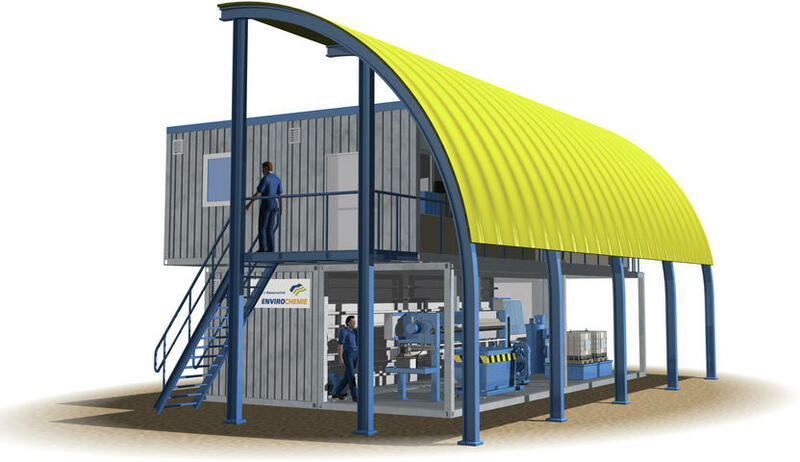 Modular plant technology for industrial water treatment "Made in Germany"
Modular wastewater treatment plant for a metal cuttings yard. 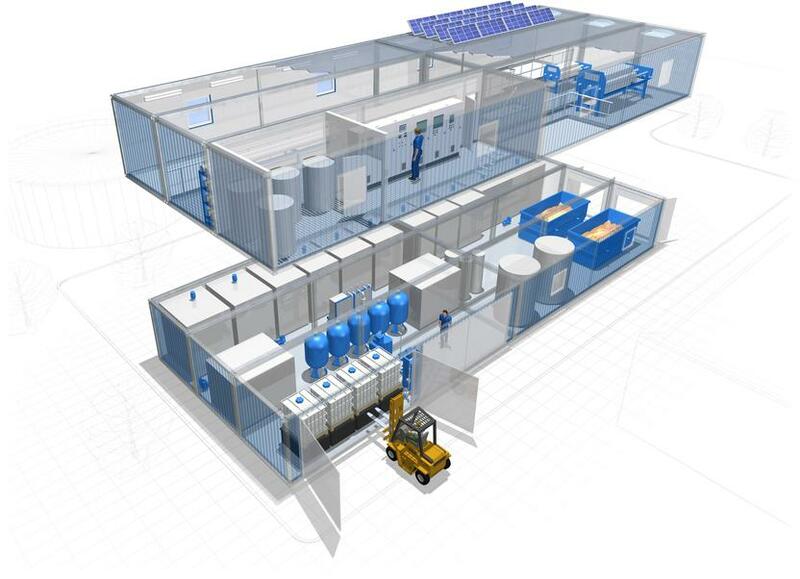 Compared with classic, centralised solutions in mixed structures, modular decentralised plant solutions offer clear benefits when it comes to costs, flexibility and speed of implementation. 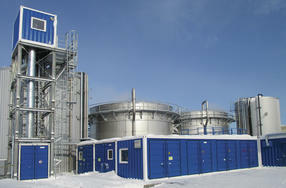 EnviroChemie has therefore developed a stand-alone, modular system. 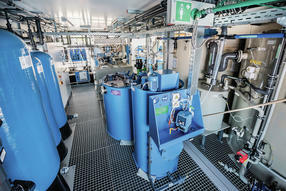 Technologies for water treatment are encapsulated into modules, which can be combined to match customer requirements. 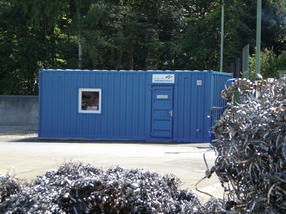 The fully prefabricated, ready-to-go EnviModules then only need to be hooked up on site. 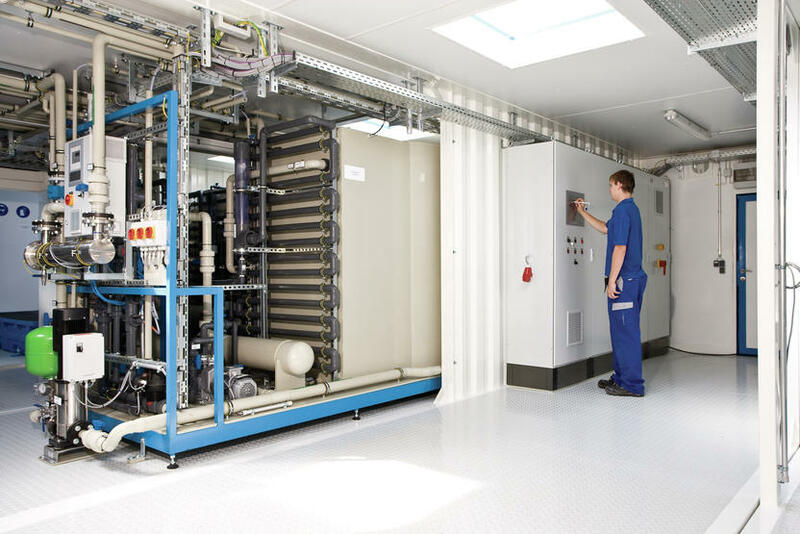 Depending on customer requirements, the water and wastewater treatment challenges are solved using the own proprietary biological, chemical physical or membrane-based processes. 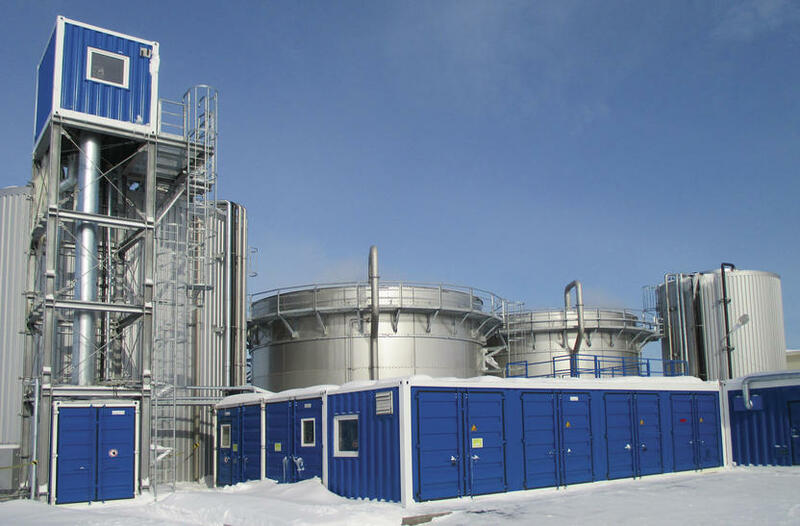 The construction of the existing processes on offer was modified so that they fit into the pre-fabricated space modules and can be combined in many different ways to adapt to customer-specific needs. An EnviModul component replaces operational buildings constructed from steel and concrete, is semi-mobile, adaptable to different climatic conditions, durable and visually attractive. 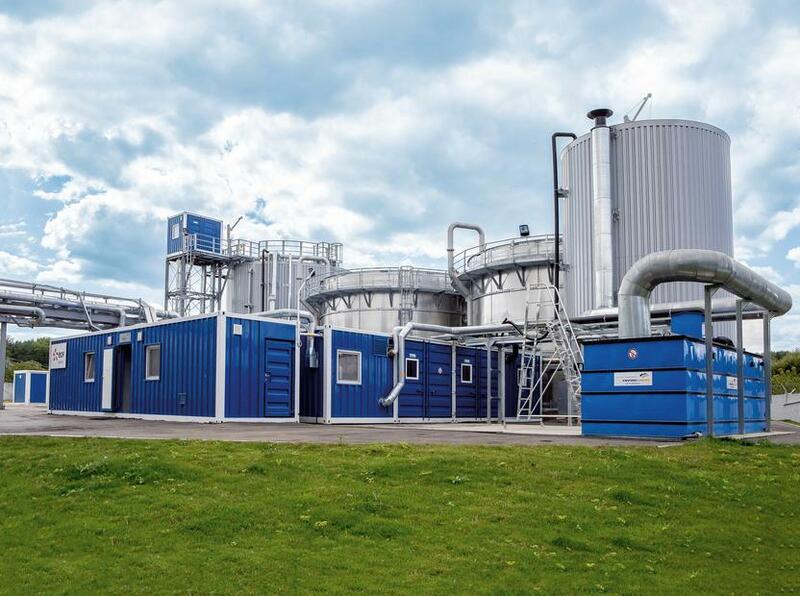 The benefits are obvious: Compared with conventional plant construction, EnviModul modularised solutions can be implemented significantly faster and at a lower cost. 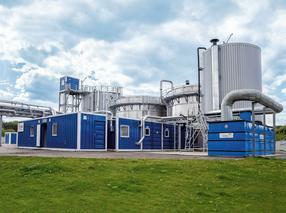 They can be adapted more easily to variable operating conditions at customer sites. Where required, they can also be relocated to other operating facilities. 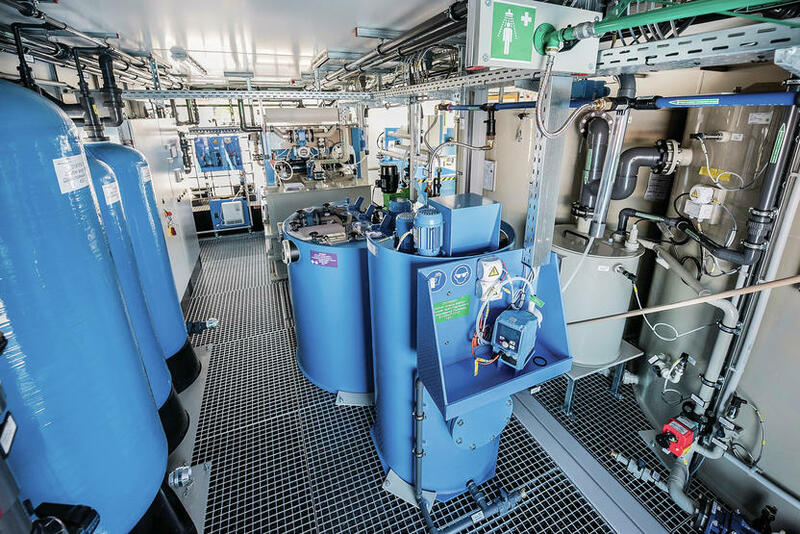 Sensible, decentralised solutions for treatment of wastewater, process water or for water recycling are customised to meet operating requirements and configured individually. Detailed, basic empirical information about the flows of materials, such as where they arise, what they contain and their concentrations, are just as important as the exact determination of the quality of water or substances to be produced. Official requirements for the issue of permits must be taken into account. From this information the processes and process stages are selected and combined and dimensioned. 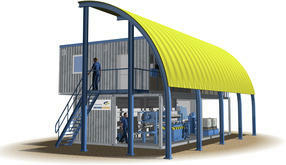 The process stage are then configured and designed using the necessary number and sizes of modules. 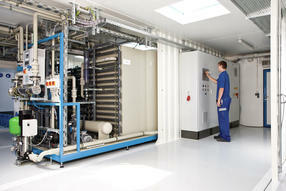 Depending on the plant technology required and the size of the plant, the system components can be single modules between 3 and 12 metres in length, which can be transported in their finished state by lorry, double components which are transported in sections, or complete buildings, which may consist of up to 20 modules. The construction of the module cells is based on corrosion-resistant steel frames with several coats of paint and ISO corners for easy transport. The modules are insulated on all sides and feature plastic-coated inner panelling. For the floors, various design options in steel, plastic or grating are available. Modules housing media have a 100 mm high watertight floor tray. Windows with insulated glass or light domes can also be fitted where required. Heating and climate control is available to suit regional requirements. As a general rule, the plants are loaded using a truck-mounted crane and – just like prefabricated garages – set on deep foundations, strip foundations or concrete slabs. The individual options available with the EnviModul modular design are as varied as our customers' individual process solutions. 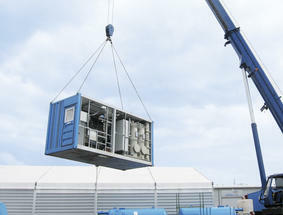 The roofs of the modules can simply be lifted opened or slid back to enable easy maintenance. 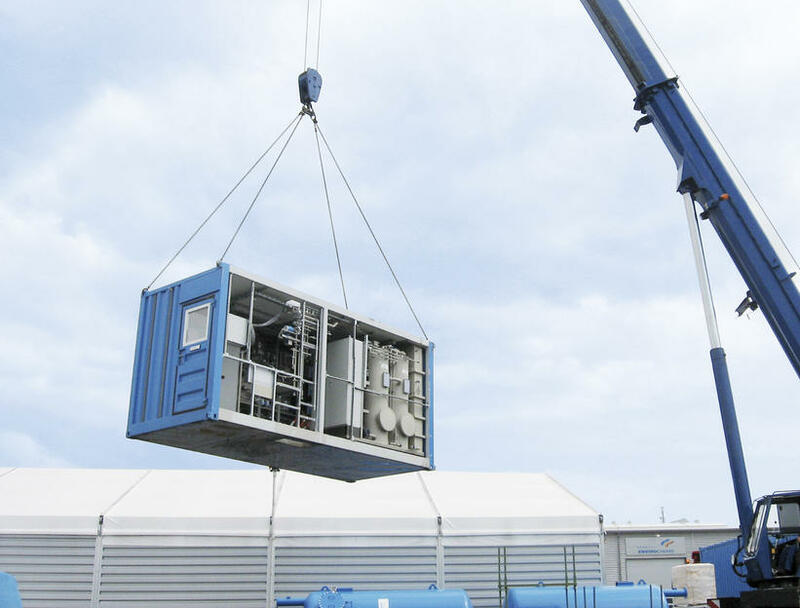 In other cases, such as high-performance flotation, space modules have side openings and are set up without any wall panelling in frost-free environments (Africa / Middle East/ Latin America). Assembly and approval at the factory ensure quality and safety. 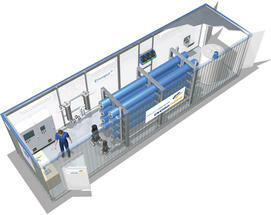 EnviModul systems are fully designed and built, pre-assembled and pre-checked by EnviroChemie. So the quality of the compact systems can be considerably improved compared to local erection and assembly. And the customer can also relax with the reliability and certified quality work of the "Made in Germany" label.